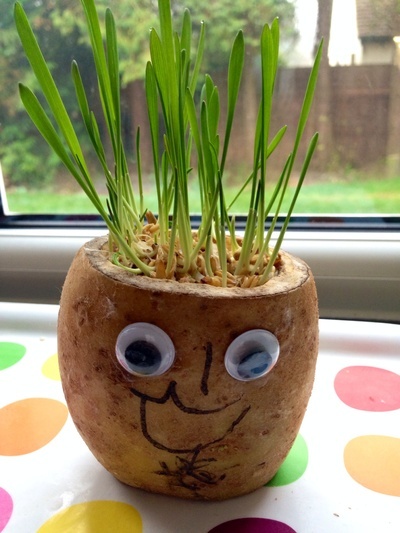 Create a funny potato head with cress or grass hair. 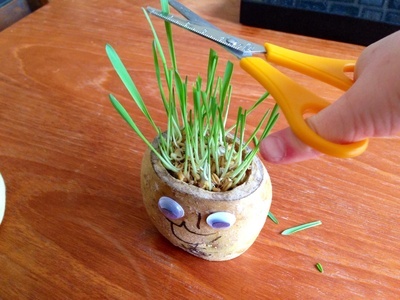 Watch the hair grow and have fun giving your potato head a haircut. Time: 10 minutes to prepare plus about 10 days before the grass or cress hair is ready to cut. 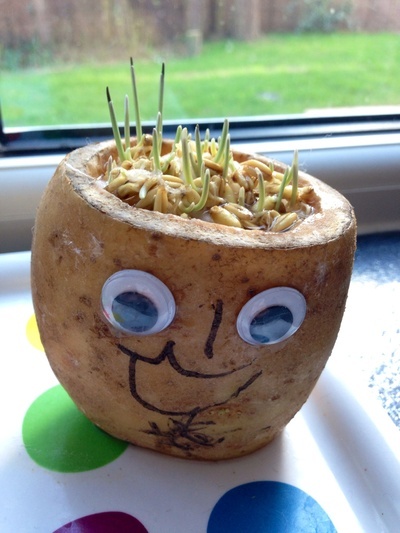 Cress seed or grass seed (we used cat grass seed which gives thick straight blades of grass). 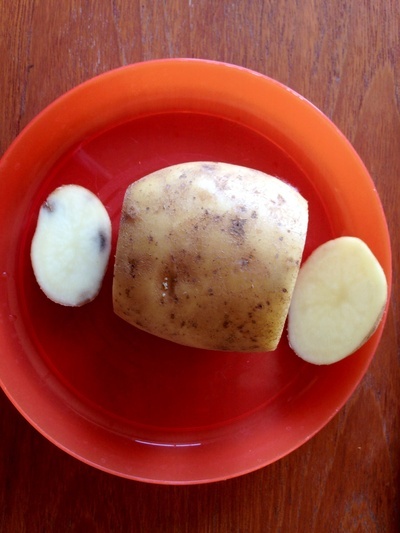 Cut a slice off both ends of the potato so that it can stand up by itself and has a flat top. 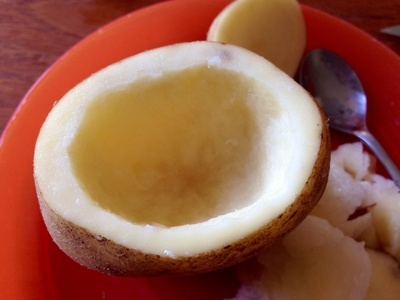 Scoop a hollow into the top of the potato using a spoon. 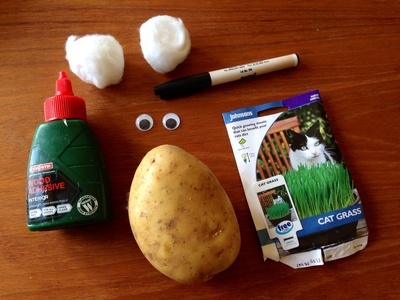 Glue google eyes to the front of the potato and draw a face with the marker pen. 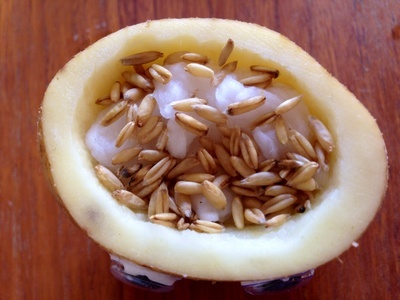 Fill the hollow with cotton wool or soil and water well. 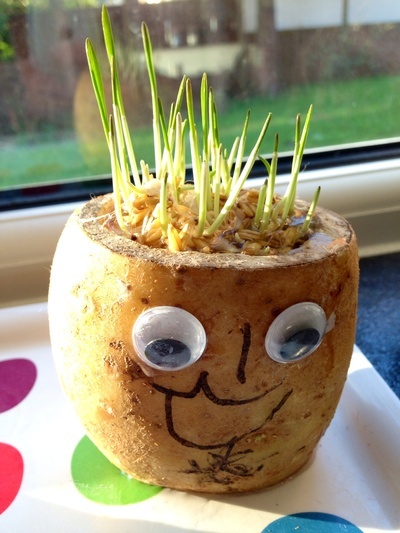 Cover the surface of the soil or cotton wool with cress seed or grass seed. 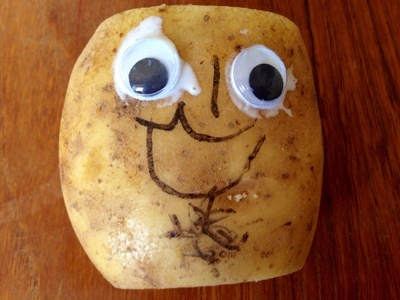 Put your potato on a windowsill and keep the seeds well watered. You should see growth within a week and once the shoots appear they will grow quickly which keeps it interesting for preschoolers. 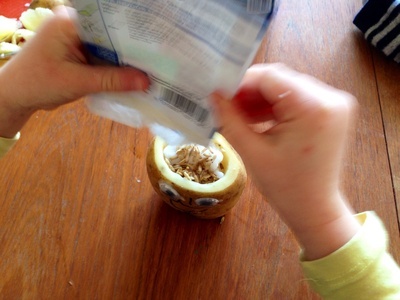 Have fun giving your funny potato head a haircut with some scissors.